L’Espresso, the elegant destination for English Afternoon Tea, is all set to delight once again with its ‘Victorian English Afternoon Tea’ to be held from 1 June to 22 July 2018! 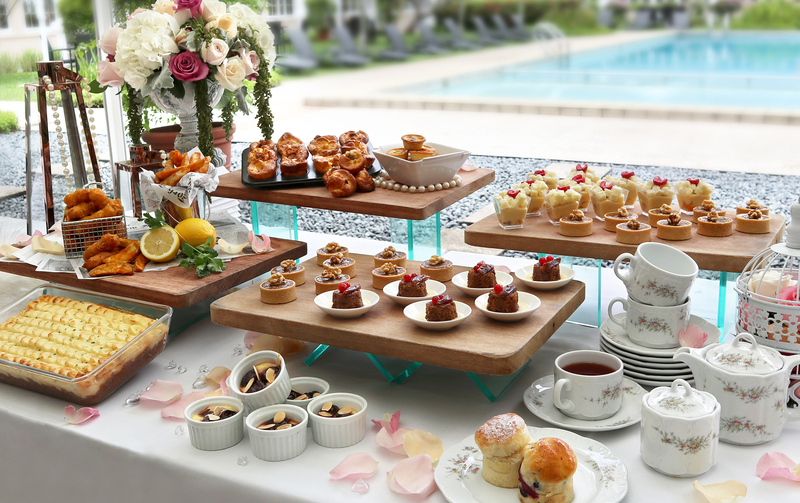 Besides the signature favourites of freshly baked traditional English scones, exquisite pastries and dainty sandwiches, the buffet will offer a delightful range of newly created English-inspired teatime treats such as Coronation Chicken with Mango Chutney and Almonds open-faced sandwich; Toad in the Hole and Treacle Tart to complete the experience. 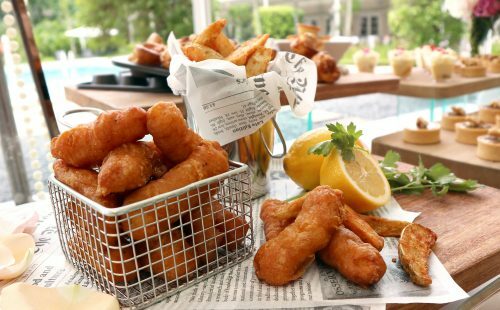 This themed tea menu is available at the same price of $48++ per adult and $24++ per child from Fridays to Sundays, eve of and on public holidays; and $45++ per adult and $22.50++ per child from Mondays to Thursdays. The price includes two servings of freshly brewed coffee or tea from a selection of premium coffee and TWG Tea. Guests can choose to accompany their afternoon tea with a glass of champagne at $72++ per adult from Fridays to Sundays, eve of and on public holidays, or $68++ per adult from Mondays to Thursdays. Flying the English flag on the sandwich and croissant selection are the Cucumber and Cream Cheese; ‘Beef Wellington’ (Parma Ham, Beef Pastrami and Portobello Confit) and ‘Three Little Pigs’ (Smoked pork, Gammon and Meatloaf) finger sandwiches; Coronation Chicken with Mango Chutney and Almonds open-faced sandwich; and Ham and English Cheddar Cheese croissant – all bite-sized and impossible to stop at just one piece. 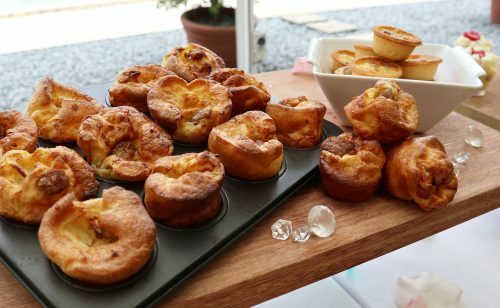 Hearty hot savouries to look forward to include Braised Pork with Stout in Hot Pot served with Homemade Brioche; Toad in the Hole (a classic sausage bake); Fish and Chips with Malt Vinegar; Cottage Pie; as well as Mini Corned Beef and Leek Quiche. To end the afternoon on a suitably traditional note, guests are invited to indulge like royalty and nibble on sweet treats such as Bread and Butter Pudding; Sticky Toffee Pudding; Strawberries and Cream Trifle; Mini Sherry Trifle; Treacle Tart and of course L’Espresso’s ever-popular plain, blueberry and raisin scones best enjoyed with the accompanying assorted jams, marmalade, Devonshire clotted cream as well as butter. The selection of cold cuts includes flavoursome options such as Smoked Salmon with condiments, Charcuterie with Pickles; and French Cheese with condiments. In addition, the selection of homemade spreads – Duck Rillette; Kalamata Olive and Walnut; and Maple Cream Cheese with Dried Figs and Pecans – are perfect with freshly baked breads such as focaccia and ciabatta. Guests will enjoy piping hot selections such as Mushroom; Pumpkin; Carrot; Tomato & Onion; or Potato & Leek on rotation. A live carving station featuring Baked Salmon Florentine Puff served with Wild Rice and Horseradish Cream. L’Espresso’s famous homemade scones are well-loved for their irresistible buttery fragrance as well as perfectly balanced texture. Plain, blueberry and raisin scones are available, along with assorted jams, clotted cream and butter. 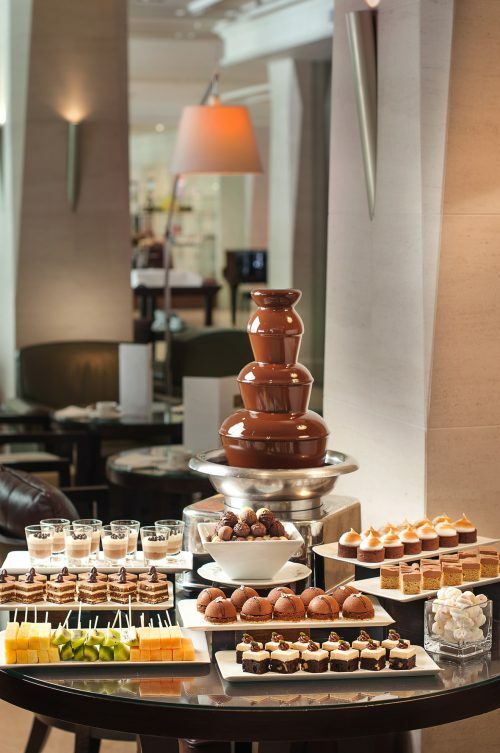 Guests may indulge in sweet pickings from the ever-popular Chocolate Fountain accompanied by skewered fruits and marshmallows; and tempting rewards such as Double Chocolate Mud Cake; Vanilla Crème Brulee; Frosted Carrot Cake; Cheese Cake and Cherry Clafoutis.